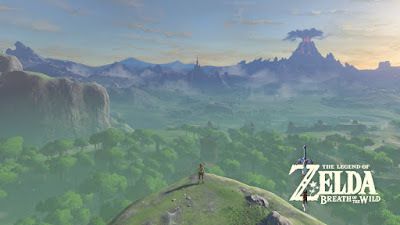 On all the "2017 Game of the Year" lists for video games that I've seen, The Legend of Zelda: Breath of the Wild was in the well-deserved top spot. 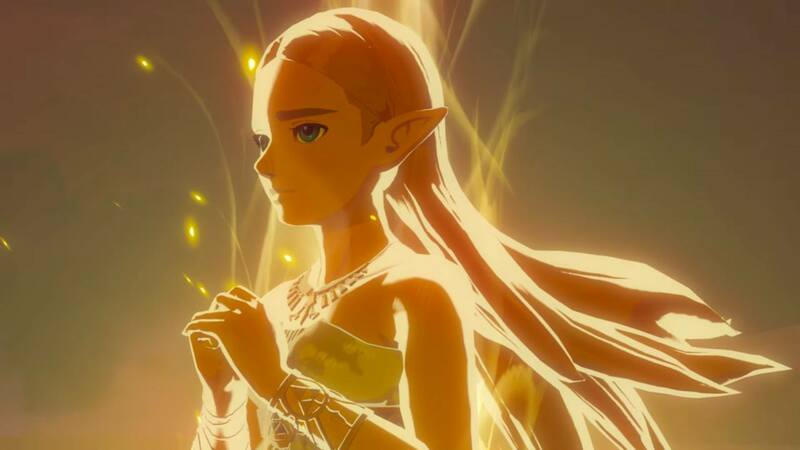 I've played some great video games this year, and I think Nintendo hit it out of the park with their latest entries in both the Mario and Zelda franchises for the Nintendo Switch. They both capture everything I've loved about the games in the past, but with all the modern video game innovations I've come to love. 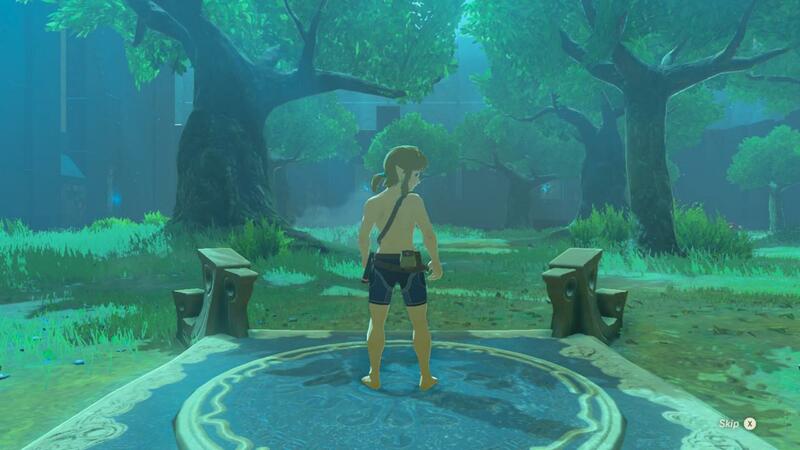 Did Breath of the Wild do it better? I'll leave that for people who like ranking things to debate and decide, and instead talk about something I think Breath of the Wild does really, really well. In Breath of the Wild, Hyrule feels like a fully realized world, more so than in any other video game I've played. So much so that when talking about the game I've often described the world, the environment and the things in it, as the main character in the game. 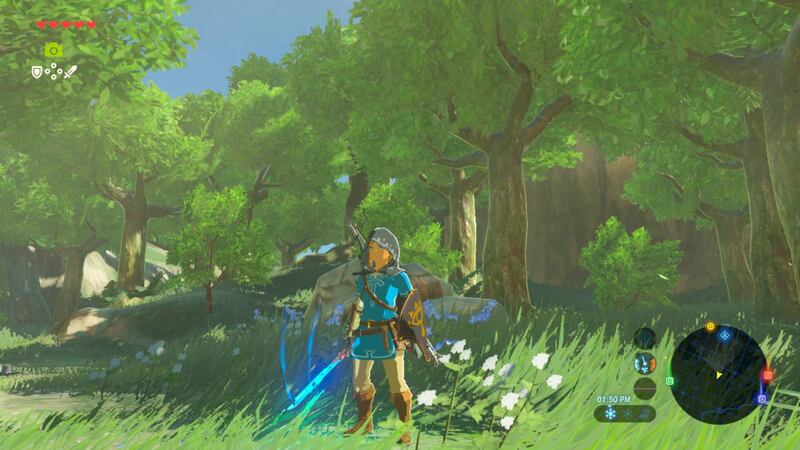 Yes, you play as Link, but every bit of the game has you thinking about how you are going to move about, interact with, and experience the world of Hyrule. From your first few steps out into the world, you don't have trees rendered as objects in the "background" to look pretty; they are places where you forage for precious food like apples, mushrooms, and acorns (and if you are lucky a bird's nest with eggs or a bee's hive with honey!) make weapons from the branches, collect rare beetles from the bark, climb to get a good vantage point for scouting and hide from monsters, or even to chop down to collect firewood or make a bridge. And that's just the beginning. 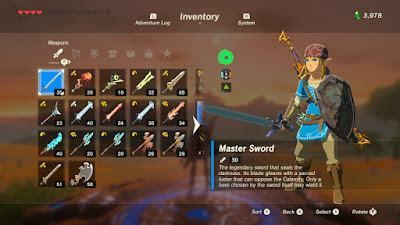 If you haven't seen or played Breath of the Wild, I highly recommend checking it out if you are able, there's something special captured in this game. You can go anywhere you can see! I've explored all of that and more! Fast forward to this month. Having just played a huge helping of Mario Odyssey (I'm at about 630 moons collected as I write this!) I was thinking about how wonderful the sense of discovery has been in the new Nintendo games I've played. I'm always excited to see other people discovering a game I've loved for the first time, and I was delighted to have the opportunity to watch both a friend and my mom experience the first few hours of Breath of the Wild in the past couple weeks. From finding their first tree branch to fight to running away from an angry club-wielding bokoblin to accidentally setting a field on fire to hunting around for every last piece of edible vegetation they could find to restore their hearts, I loved every minute of it. Especially the sense of wonder and awe as they realized the scale of the world and their ability to affect it. Discovering a treasure chest underwater and using a newly learned rune power to acquire it, or climbing straight up a cliff to a high point instead of taking the longer path around, those moments were such triumphs! Aww, look at that little hero finding his way in the world! My Champion Link, with all his gear! Then I remembered... THE ISLAND OF DOOM! At some point when I was out discovering shrines and filling out my map I saw an island out in the distance, and I swam all the way out there. I didn't yet know how to use Korok leaves to propel rafts, nor did I have a lot of stamina, so this truly was an epic feat. 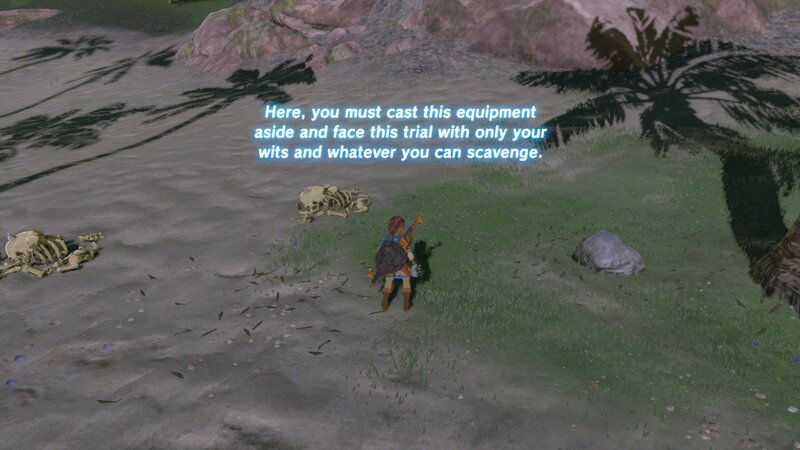 I was so proud of myself, using many stamina recovering items I carefully cooked up to make my way out there and I was ready to enjoy my discovery. And when I got there.. I heard a voice, and then she took away all my stuff!!!!! Wait, what?! Even my clothes? 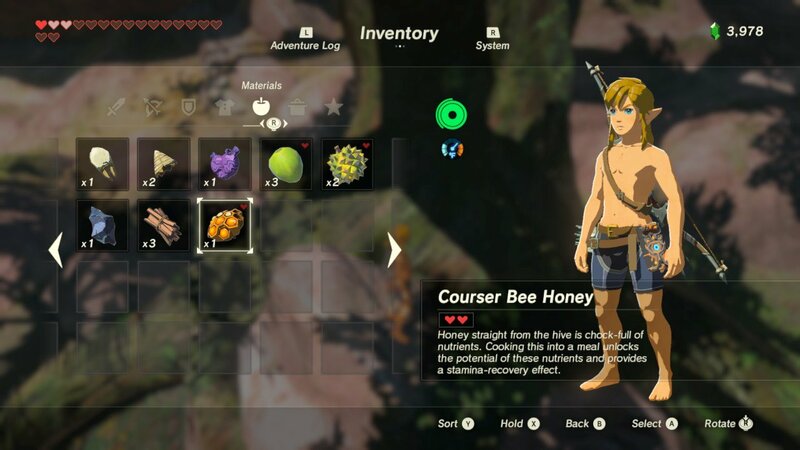 What is it with heroes in their underwear Nintendo? The challenge of the island was to start from scratch and scavenge new supplies, cook items, and defeat the enemies on the island, in your underwear (Side note: my son thinks it is hilarious that you can buy a boxer shorts outfit for Mario in Mario Odyssey, in a 9 year old's words "because its ALWAYS funny to see people run around in their unders!"). At the time, I only had a few hearts, and the experience of scrounging for weapons and food wasn't filled with a whimsical nostalgia yet! So, I tried and died a few times, which causes you to start completely over. Then I gave up and marked it on the map, thinking maybe someday if I was feeling particularly completionist I'd come back. 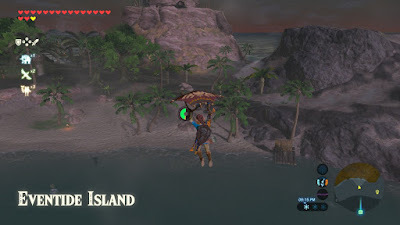 So here I am feeling nostalgic for the struggles of a new hero, but I don't want to start over, so remembering this island made me think the developers were geniuses. You get to have all the feels of being a new hero, but keep your cool powers and heart and stamina upgrades so it's not really THAT hard. So, I set off to go try my hand at survival island! This time I realized you can actually just paraglide there. Every last bit of food was precious again! Overall, this experience was wonderful. It was like a breath of fresh air, it totally revitalized my interest in the game and got me thinking about all the other little corners of the world I had yet to explore. I was really happy to get all my gear back, but I didn't take it for granted as much anymore. I was picking up apples again! 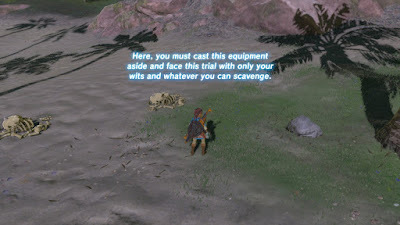 I checked out the DLC Season Pass and one of the things available is the Master Trials, which is apparently exactly that same kind of experience as the Eventide Island survival shrine! Link in his underwear with no gear again, but this time for something like 45 grueling levels of increasing difficulty and an amazing reward, so I immediately went and purchased the season pass and started throwing myself against that wall. I've now died several times and made it like, 6 or 7 levels in. This is going to be great! Wish me luck?! I've got this! Probably! Maybe! Send help if you don't hear from me in a week? Have you played Breath of the Wild? Are you still playing? What holds your interest in a vast, open world game?